Simon qualified from Cambridge University in 1999 and joined Western Counties Equine Hospital in 2003. He gained a Certificate in Equine Surgery (Orthopaedics) in 2010 and became a RCVS Advanced Practitioner in Equine Surgery (Orthopaedics) in 2014. 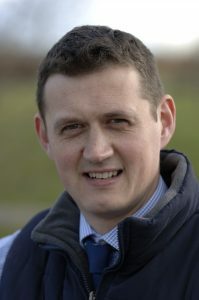 He has wide interests across the fields of equine orthopaedics and surgery but in particular the diagnosis and management of foot lameness and conditions of the digital flexor tendon sheath.